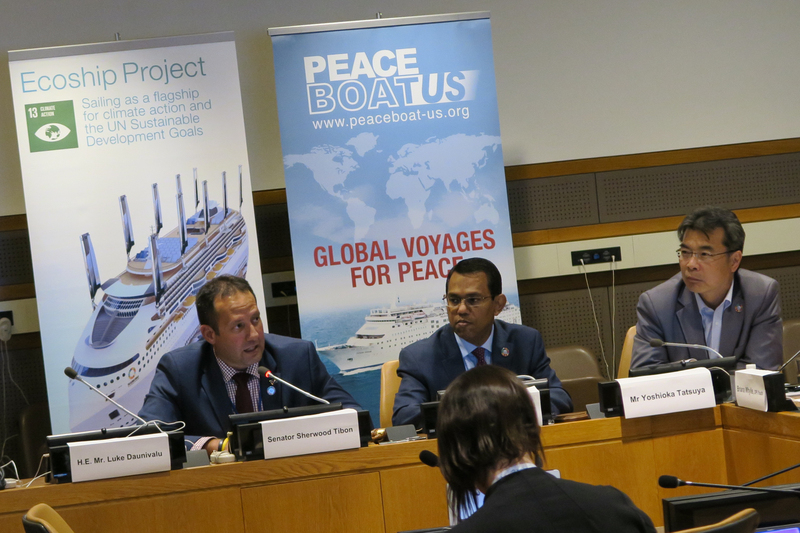 During the inaugural Ocean Conference held last week at the United Nations Headquarters in New York, the international NGO Peace Boat announced a new programme that will bring youth leaders from Small Island Developing States (SIDS) to travel onboard Peace Boat’s 95th Global Voyage. The Peace Boat Ocean and Climate Youth Ambassador Programme will unite young people from communities on the front line of climate change and marine degradation, including from countries in the Pacific, Indian Ocean and Caribbean regions*. They will engage in capacity building and bring their message to citizens and government representatives through the voyage. 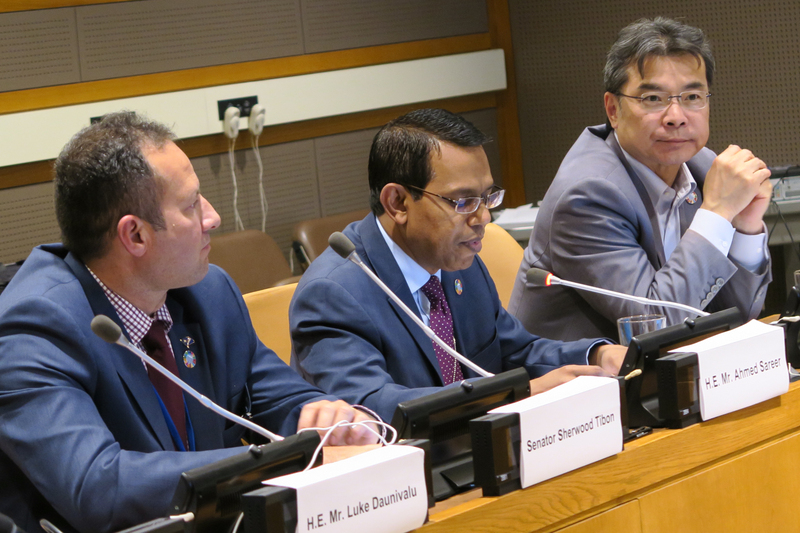 This programme is one of the Voluntary Commitments registered as part of the Ocean Conference, and included in the official Conference report. 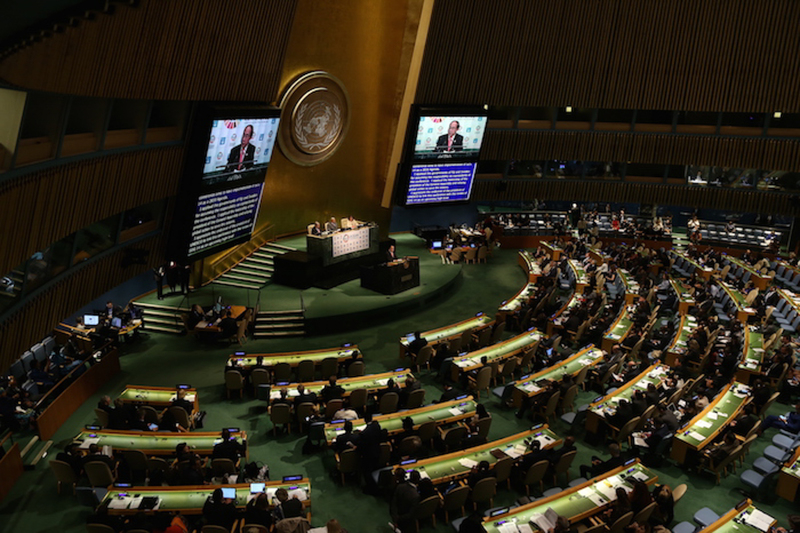 During the announcement of the programme at the UN headquarters, the founder and director of Peace Boat, Yoshioka Tatsuya, stated: “Climate change disproportionately affects young people today and future generations. This programme will bring together young leaders working in the climate movement and it will amplify their impact”. The youth will embark upon Peace Boat’s 95th Voyage in Europe in September 2017. There, they will connect with civil society and governments in the ports visited: Spain, Portugal (host of the next Ocean Conference), France, the United Kingdom and Iceland. 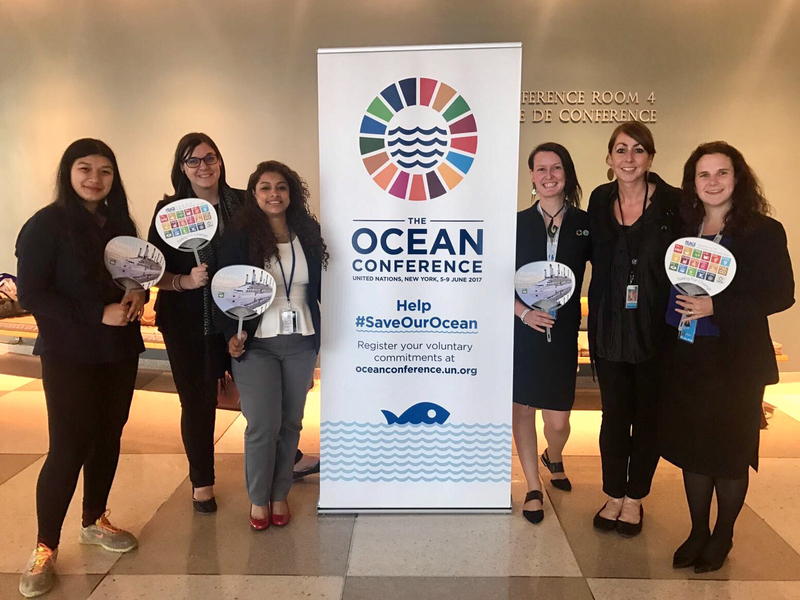 Participants will give testimony of their experiences and the impact of climate change and marine degradation on their communities, highlight the outcomes of The Ocean Conference and create a Youth Call for Action. Their voyage will end as Peace Boat docks in New York on October 15-16, where the youth ambassadors will report on their efforts to both the United Nations community and the broader public. Onboard the ship, the youth will engage in capacity building and education programmes on topics including media skills, campaigning and negotiation. The time onboard will also be an opportunity to share experiences amongst each other, build alliances with youth from other islands facing similar issues and strengthen capacity for empowerment and action. As a follow up activity to the United Nations Ocean Conference, this activity aims to maintain momentum towards COP 23 in November 2017. Participants will take the messages and outcomes of the Ocean Conference with them as they travel, and their experiences and Youth Call to Action will be documented and shared widely at COP 23 and beyond. More on the Ocean Conference here. Peace Boat 95th Global Voyage Itinerary here.